Less than an hour’s drive from San Jose live the slender, giant coastal redwood trees. A few hours inland, the Sequioa grow almost as tall, but it is their giant diameter which stands out. When one walks among these trees, it is intuitively understood, you are walking amongst something timeless –you are among legends. While there are plenty of all-time lists Thornton sits highly on, three seem to dwarf the others: games played, points and assists. This season, Thornton passed players on these lists with frequency. It is breathtaking group of players Thornton surpassed. By my count, 12 Hall-of-Famers along with one soon-to-be: Nicklas Lidstrom, Jarome Iginla, Alex Delvecchio, John Bucyk, Brendan Shanahan, Steve Yzerman, Mike Modano, Phil Housley, Teemu Selanne, Stan Mikita, Gordie Howe, Marcel Dionne and Mario Lemieux. 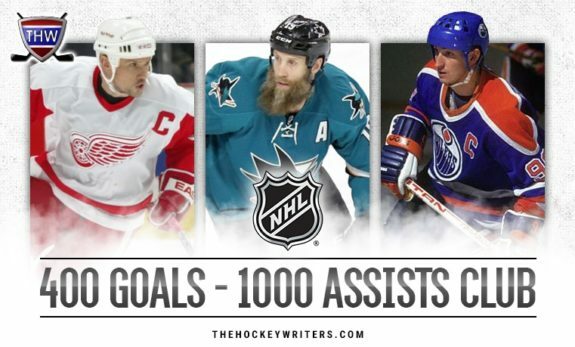 Thornton’s joining this elite company is remarkable enough, but it is hardly the only remarkable part of his season. Thornton has done something which essentially unheard of in major sports. He has undergone two major knee surgeries in his late-30’s and returned to play at a high level. There was reason to question if Thornton would ever make it back from his surgeries. He tore up one knee two years ago this week, requiring repair of both the ACL and MCL. In late Jan. 2018, he tore up his other knee, again requiring repair of both the ACL and MCL. It is hard to find any player in any other sport who has done something similar. 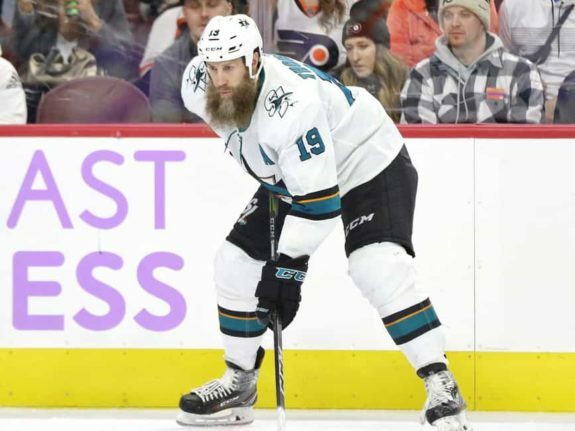 At an age where most players retire from such injuries, Thornton continues. And at a pretty high level. Thornton’s passion for the game is immense and he worked incredibly hard to get back to form. He started the season slowly and dealt with a setback which caused him to miss nine games. Since then, he’s built his game week-by-week. Once he passed the one-year mark from his last surgery, his game found a new normal. He’s delivered 25 points in his last 30 games (a 70-point pace for a full season), not bad for a third-line center with wingers who were both on the Sharks’ fourth line last season. 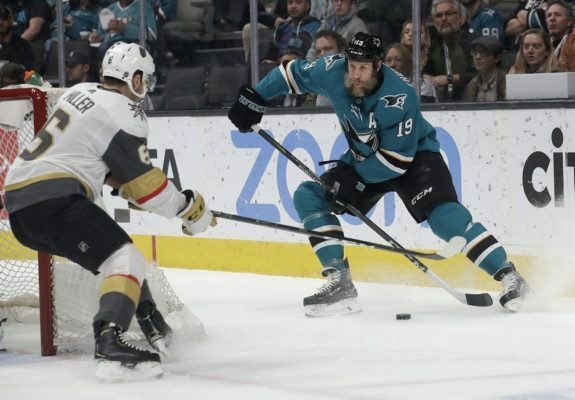 His determined recovery led him to garner the Sharks’ nomination for the Masterton Trophy, given to the player who “best exemplifies the qualities of perseverance, sportsmanship, and dedication to hockey.” Thornton is among the league’s most deserving candidates for the award and it’d come as no surprise (at least to me) if he did win it. In ways big and small, this season has been legendary for Thornton. In part for the company he now keeps and in part for what he’s accomplished in the face of injuries which almost always end careers. The upcoming Stanley Cup Playoffs offer little time for retrospection, so it is best done now. Should Thornton play beyond this season, he’ll continue to move up an all-time lists, albeit at a slower rate than this season as the gaps get wider between milestones. Still, it is right to take a moment and admire what he has accomplished. Like immense the redwoods which dot the Northern California landscape, Thornton stands with legends. Subscribe to Our FREE Sharks Newsletter! We'll drop our latest San Jose Sharks stories into your Inbox a few times a week. Be the first to know.